GOVERNMENT has set up a Cabinet ad hoc committee to assess the level of damage to business infrastructure and the quantum of losses incurred by businesspeople during the recent violent demonstrations perpetrated by the MDC Alliance and its affiliate non-governmental organisations. The committee, which has eight ministries, was tasked to immediately come up with measures that would bring relief to the affected communities and help businesses to recover. Addressing journalists after the first Cabinet meeting this year, Information, Publicity and Broadcasting Services Minister Monica Mutsvangwa said Cabinet expressed “grave” concern over the wanton destruction of property and businesses during the violent protests that took place between January 14 and 16. “Cabinet noted that as a result of this regrettable occurrence, a number of households in several high density suburbs were facing difficulties in accessing basic goods and services,” she said. “In addition, a number of small to medium business enterprises were either destroyed or had their stocks looted, leaving them with no capital to finance operations. Industrialists estimate that the economy could have lost business amounting to $300 million over the three-day forced shut-down. Companies and individuals who lost their properties to the marauding demonstrators have been plunged into serious financial challenges since insurance firms do not compensate anything destroyed during riots. Ordinary businesses became the biggest targets of attack, resulting in the loss of goods, income, jobs and shops which were vandalised. Expanding on the ad hoc committee, Industry and Commerce Minister Mangaliso Ndlovu said: “The President and Cabinet have agreed that there is an urgent need to provide support to the affected communities and businesses. There is an inter-ministerial committee that has been set up which consists of about eight ministries and we also have the latitude to invite the private sector, particularly the retailers, to be part of this. We have to come up with strategies to alleviate the plight of the affected people, but most importantly to assist affected business people. We will come back to Cabinet with those strategies for approval and Government assistance will be rolled out thereafter. “This will be treated as a matter of urgency because we do appreciate the plight of the people.” Minister Mutsvangwa said Cabinet also discussed improvements in fuel supply. Minister Mutsvangwa said Cabinet had received a report from the Ministry of Foreign Affairs and International Trade on President Mnangagwa’s recent visit to the Russian Federation. 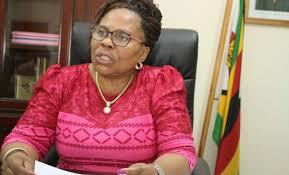 She said Cabinet noted with satisfaction the President’s visit, which had opened numerous avenues for deeper co-operation between Zimbabwe and the four Eurasian countries he visited.